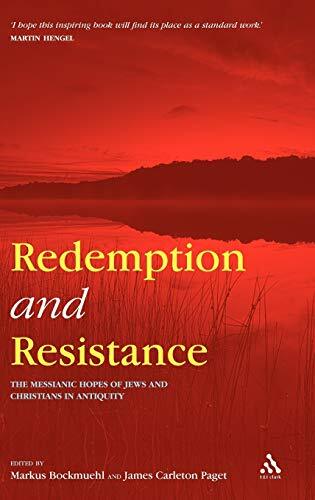 Redemption and Resistance brings together an eminent cast of contributors to provide a state-of-the-art discussion of Messianism as a topic of political and religious commitment and controversy. By surveying this motif over nearly a thousand years with the help of a focused historical and political searchlight, this volume is sure to break fresh ground. 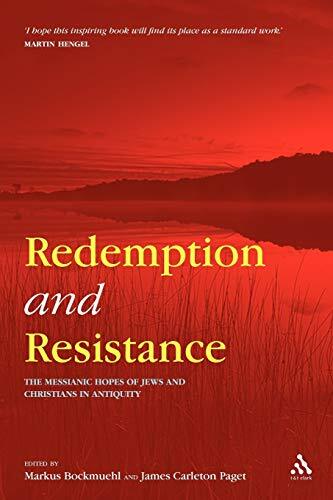 It will serve as an attractive contribution to the history of ancient Judaism and Christianity, of the complex and often problematic relationship between them, and of the conflicting loyalties their hopes for redemption created vis-à-vis a public order that was at first pagan and later Christian. Although each chapter is designed to stand on its own as an introduction to the topic at hand, the overall argument unfolds a coherent history. The first two parts, on pre-Christian Jewish and primitive Christian Messianism, set the stage by identifying two entities that in Part III are then addressed in the development of their explicit relationship in a Graeco-Roman world marked by violent persecution of Jewish and Christian hopes and loyalties. The story is then explored beyond the Constantinian turn and its abortive reversal under Julian, to the Christian Empire up to the rise of Islam. Dr Markus Bockmuehl is Professor of Biblical and Early Christian Studies at the University of St Andrews, UK. James Carleton Paget is Senior Lecturer in New Testament Studies in the Faculty of Divinity, University of Cambridge, UK.